Additional Info: Indian people honor the plant according to religious traditions. The herb is native to India, and is notable for its beautiful flowers and leaves. Active Components: Asoka is listed as a plant which includes haematoxylin. According to modern researches the plant is considered rich in tannins. It also contains an agent which has iron contents. There are no volatile oils or alkaloid contained in the plant, but the tree bark includes catachin and tannin. Elements Applied: Flowers and bark are the elements applied in the herbal medicine. Used for: Tree bark is a strong remedy for diarrhea and a soothing medicine for uterus. It produces a direct effect on the womb muscles. It acts as a stimulant towards the ovaries and endometrial tissues. The plant is applied to treat womb and ovary tumors, bleeding hemorrhoids and dysentery, as well as menorrhagia. Preparation and Intake: The decoction is made of tree bark, processed in water and milk, in a proportion of 4:4:16 (herb:milk:water, in ounces). The result should be dosed for three uses, and drunk during a day to treat menorrhagia. The day you should start using it is the fourth day of menstruation. The remedy is taken while you have the bloody discharge. Tree bark of Asoka is applied to treat bleeding hemorrhois and dysentery. In order to maximally benefit from the plant’s effect use the bark extract in liquid form. Bloody dysentery is aided by chopped flowers, combined with water. 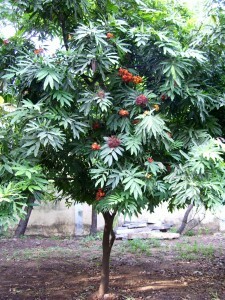 The plant is also used in form of powders, tablets, herbal wine, paste, and gee.